Right now through Sunday Langford Market is doing 50% off their entire online inventory and free shipping with an order of $50 or more. Say what? Use promo code "fifty" to take advantage of that. I have been a huge fan of Langford Market for years, and even made buddies with the Austin store manager (who has since moved on to corporate in Houston. Hi, Davina!). I love the store because the inventory is always changing, they also carry vintage home furnishings, and there is always some sort of amazing promo going on (like buy a dress get a any cardigan for free). Each month the stores do a cool event, too. I've attended a few sip and shops and craft nights at the Austin location. 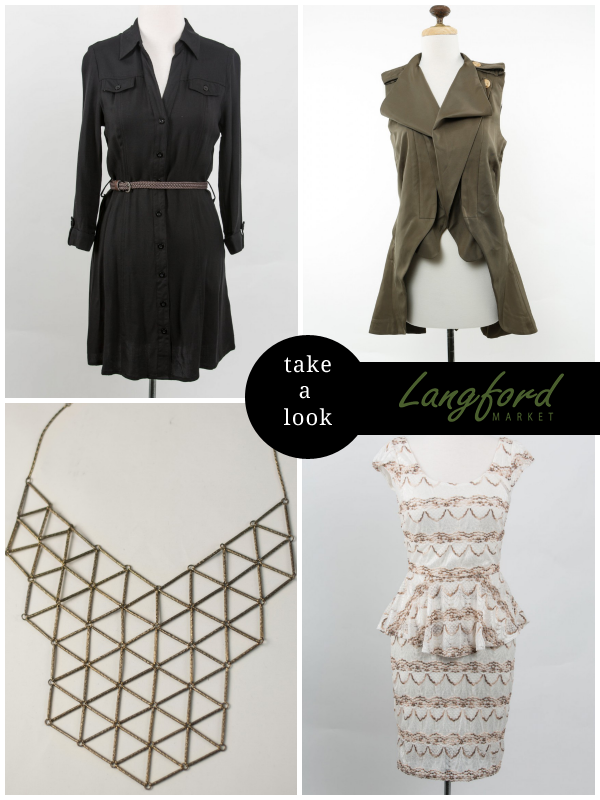 Fun fact: each of these pieces of clothing were picked out for me by the helpful staff (they love pulling clothes for customers) and coincidentally all of the clothing pieces that I've bought from Langford Market were made domestically. See why it's one of my favorite Austin haunts? Now that I'm not longer sporting a giant baby bump, I need to hop in there again. Langford Market has locations in Austin, San Antonio, Houston, New Orleans, and Chicago. Check them out online if you're located elsewhere. You could beat me in an arm wrestling match, but not for long.